President Donald Trump claimed that “Florida will become Venezuela” if Mayor Andrew Gillum of Tallahassee, the Democratic candidate running in Florida’s gubernatorial election, is elected over Republican Rep. Ron DeSantis. Trump alluded to Venezuela’s hyperinflation crisis, which has spurred riots, and caused power, food, and medicine shortages. 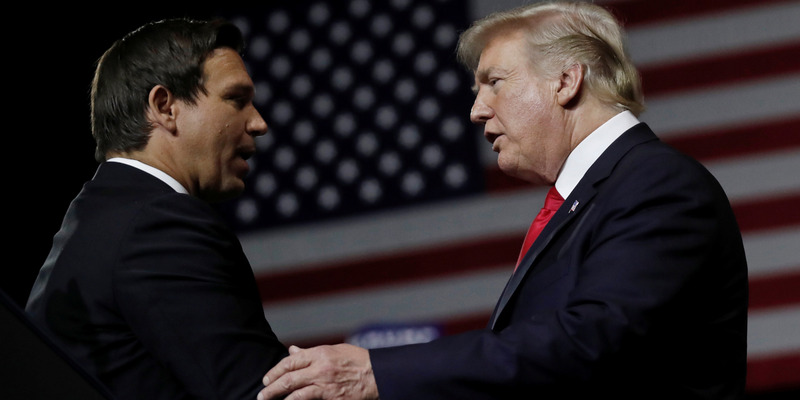 Trump gave DeSantis, a vocal supporter of Trump, a glowing endorsement. President Donald Trump claimed that “Florida will become Venezuela” if Mayor Andrew Gillum of Tallahassee, the Democratic candidate running in Florida’s gubernatorial election, is elected over Republican Rep. Ron DeSantis.